did want the disk images! It’s a difficult situation because the system is by no means dead or even obsolete. Dell Unix for instance was plainly abandoned and forgotten a long time ago. With QNX2 it’s unfortunately different. It’s still widely used in the embedded world. Worse, the manufacturer (QNX) still sells licenses for it. I have worked pretty hard to get my own copy. And don’t give hope, someone will probably eventually slip it away somewhere. Can you shed more light on what’s wrong? That aclock disk boots in MESS. I’d be interested in hearing more about the NIC and the possibility of adding support for that to MESS (I wrote the NE2000 emulation for it). Unfortunately QNX 2 does not support NE2000 or any other Ethernet.  It only supports Arcnet, and not even generic. It only works with Corman Arcnet cards. Currently sold by http://www.betech.biz/ . I have a working Arcnet driver for Qemu but we are still short of Corman BIOS and chipset. Is information about the qemu arcnet driver available somewhere? I’m assuming it’s for some other arcnet device? When I asked roughly 10 years ago, QNX didn’t want to give out details about how you interface to the card (which would obviously be useful if you wanted to emulate it), I guess if the cards are still being sold that might still be the case. I’ve never looked… 1.6 also fixes ISA, but my old NetWare 3.12 still crashes mounting the disk. I have qemu patches, however these are for regular arcnet. The cards that QNX works with require special a BIOS, which is not available and it’s still being commercially produced – see here http://www.betech.biz/B&E%20TECH/Arcnet_products.htm . If you want the patches email me. With a bit of determination the BIOS can be dumped and used in Qemu I guess. So the BIOS is the only special thing about them – you can get some other generic arcnet card which has documentation about its memory-mapped interface, and the only difference between that card and the QNX one is the BIOS? I can’t say I ever looked up any information about the various chips on the QNX arcnet card so wouldn’t know if they’re generally documented or not. So I know a little about Corman cards, not enough to write a driver. The card uses a standard Arcnet chip. The chip usually interfaces via io-ports. The Corman card has it engineered to use have those ports accessed as memory map. There is also the boot EPROM and some sort of EEPROM to store settings. If anyone wants QNX 4.25 floppy images and CD ISO I have copies. Did some major searching and found them tucked away on a server in Russia. Nothing has come up yet for QNX 2.x yet. 🙁 This is the holy grail ….I’ll keep looking. 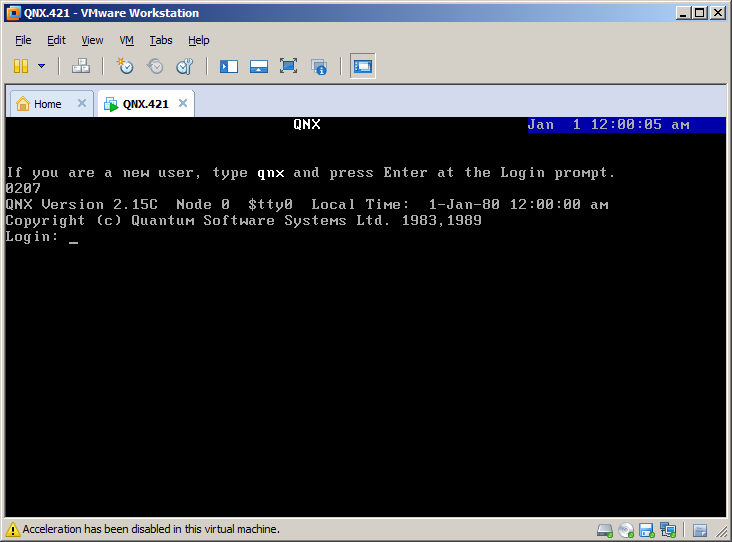 I have virtualized QNX2 and have it talking to a Siemens PLC running machine control software and this works great, but what is missing is the ARCNet connection. I also need to emulate this and was planning on writing a driver that sends ARCNet traffic over the local Ethernet network (as broadcast UDP traffic). I have several Corman ARCnet cards and confirm that it is using a standard SMC COM90C165LJ chipset and standard PHY drivers, but the issue is they’re using an FPGA (Actel A40MX02-F). The ROM bios is easy enough to copy, but it is unclear what precisely the function of the FPGA is. I believe the statement of an earlier user is correct, they are using memory mapped I/O to simplify access. I’ve purchased an ISA to USB converter and intent to interrogate the ARCNet card to see what I can learn. I have just started working on a Corman Arcnet card, this one has the ROM BIOS extension for a Unisys ICON-PC. I can confirm that the purpose of the FPGA is to memory-map everything, and allow software controlled IRQ routing. QNX 2.1 manual states that diskless PC netbooting is possible. 0x17e0 – IRQ & LEDs? I’ll continue disassembling the ROM. wait, what?! Do you have disks/disk images…??!? Holy crap is there an actual chance that the Ontario educational machines from hell are coming back to life?! ha ha YES! Contrary to what Wikipedia says, not *everything* related to CEMCORP/Burroughs/Unisys ICON was destroyed. The Ontario Archives has many boxes of documents and floppy disks, some with software that runs on Canada’s Bionic Beaver. HOLY CRAP, this is the most exciting thing I’ve heard since my school foolishly installed the C compiler! Damn this is going to be the biggest Ontario centric retro crazy thing ever! Such a pitty they never sold these in homes like the BBC micro’s, what an incredibly missed opportunity to have a region centric thing. Although it’s better than just ‘yet another pet/apple’ school of the 80’s. How can I stay updated on this? 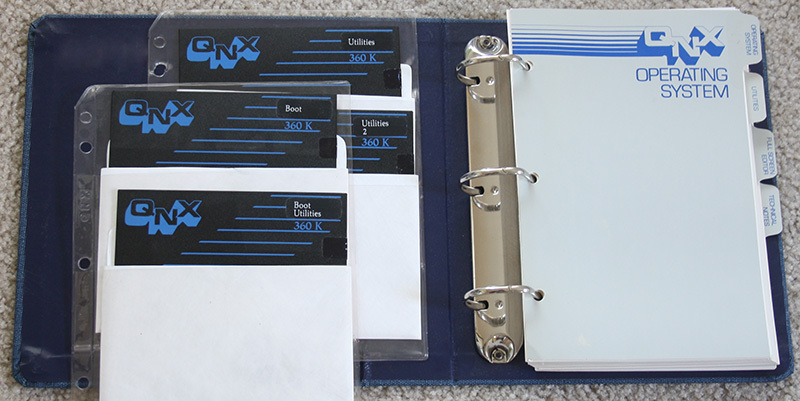 I’m looking for more information on this… Do you happen to know what record series you found the ICON software in? If you are interested I have ARCNET emulation patch for QEMU. I confirm that qnx2 10MB hdimage boots well in stock 0.74 dosbox. Earlier milestones: pce-ibmpc with both lowlevel xthd-controller driver and with int13h-biosonly qnx hd driver. 8086tiny with modded bios and image ripped from pce-ibmpc experiments. 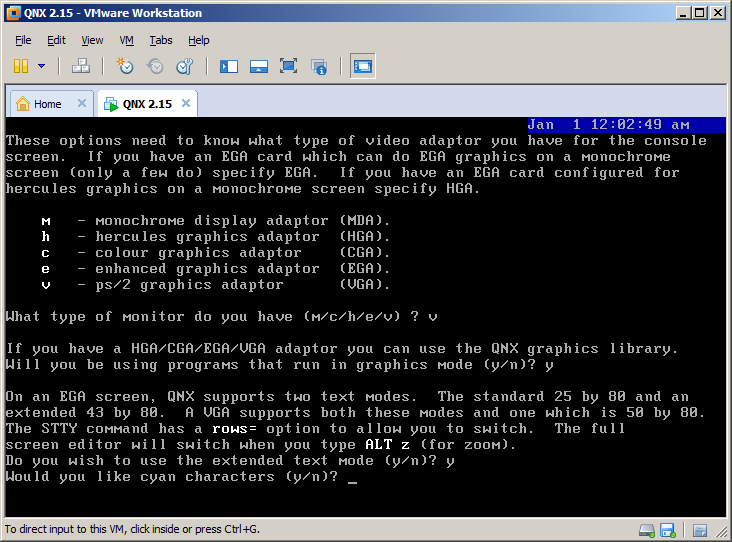 I think that a bare 200/16/63 qnx2-in-qemu install could work with the original bios in 8086tiny. Proven that the usual dummy bios c/h/s autodetection can be improved with only a little work. Unfortunately, intel 8086 DIV has glitches, it is usually better to hardcode a CHS lookup table upon common size values unless it is ambiguous like 820*6*17 === 615*8*17 and so on. Prime factorization of the total number of sectors seldom provides unique chs tuple solution. it will be nice if people can provide chs values from commandline like qemu does. Will try it around Xmas (or before, I hope). 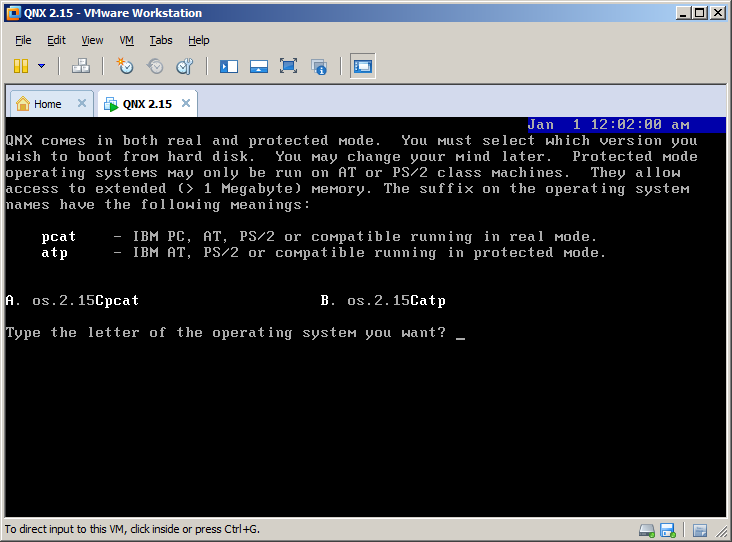 anyway, both pcix/86 and xenix8086 hang immediately after starting the vm. Trying to find it out in weekend. Is it possible to mount a qnx-2 file system under Linux ? If not, is it the qnx-2 file system documented somewhere ? I highly doubt it. When I was forced to use QNX, the workgroup server had a disk drive we could mount under the MS-DOS emulator and we could copy stuff in and out from that. Although the version we ran on the ICONs I’m sure wasn’t very stock. Although the model 2 stuff with it’s EGA hardware was enough to run SIERRA games.